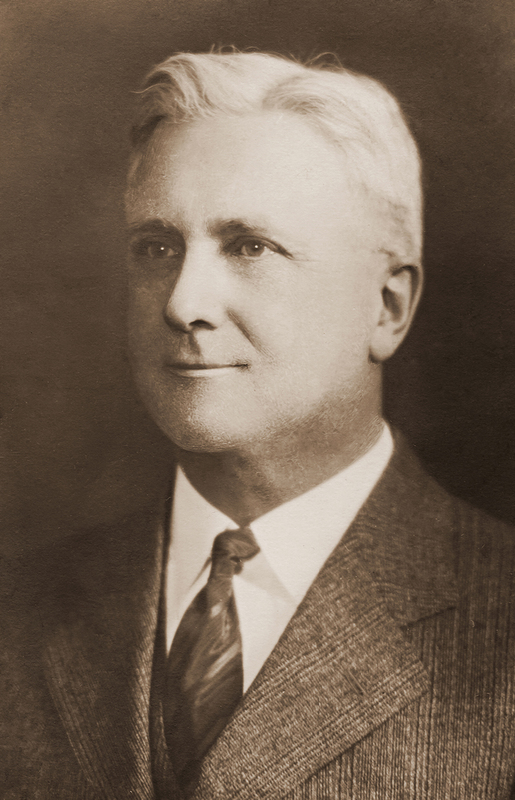 Image of Dr. Edgar A. Day: Courtesy of Beth Willis from the Strait Family Photo Collection. All rights reserved. May not be reproduced. Unable to find references on the internet, I had resigned myself that I had exhausted all efforts in finding any information about his past. 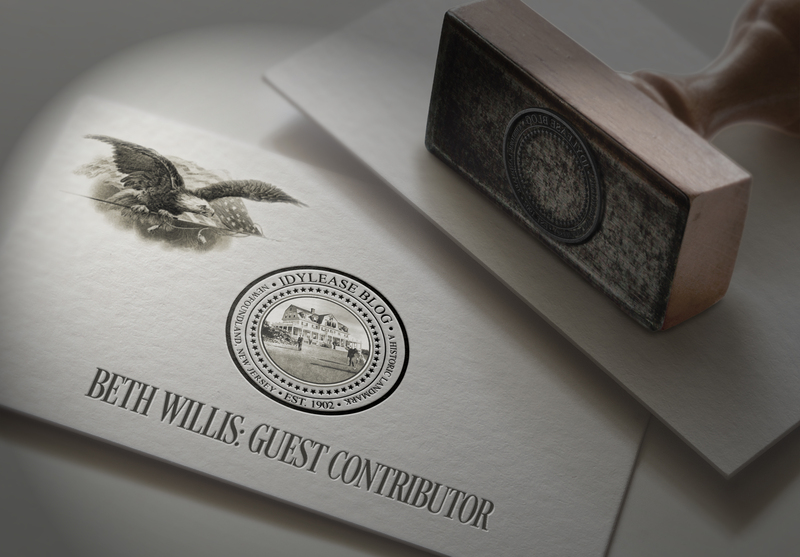 Enter Beth Willis – a relation to Edgar A. Day. Beth is an historian who has compiled a 638-page manuscript entitled, “The Inhabitants of the Neighborhood…… A Pictorial History of Snufftown, now Stockholm, Hardyston Township, Sussex County, New Jersey and its Vicinity”. While a former resident of Ogdensburg, New Jersey, Beth had many of her ancestors and relatives who had lived in the area at Snufftown and its area. Much of the information was from the photographs and written family histories her grandmother meticulous preserved. She had also conducted many interviews with relatives of the former residents who had lived in the area. The manuscript has detailed and highly interesting information about local history. The manuscript contains over 900 photographs that include family portraits, business advertisements, photographs of the homes and business of the area including many scenic views of the community. Many of the photographs were taken during the acquisitions of lands for the Pequannock watershed. Beth has donated a copy of the manuscript to the West Milford Public Library where it may be accessed as a reference resource. 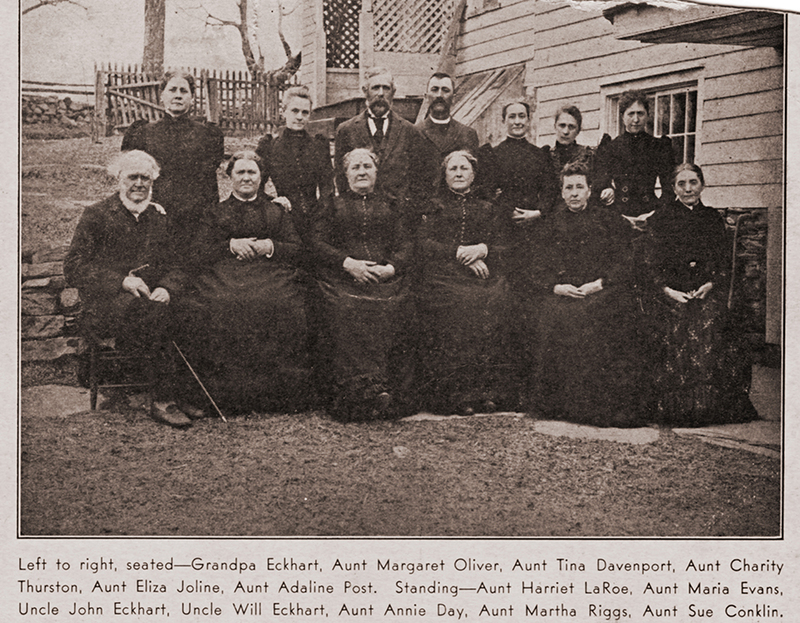 In addition, her 3rd great Aunt Martha Strait and a distant cousin, Elizabeth S. Day both compiled their family histories. Another relative, Joseph Percy Crayon (nee Crain), wrote numerous articles about local history that appeared in the area’s newspapers. Crayon also wrote “Rockaway Records of Morris County, N.J. Families” which was published by the Rockaway Publishing Co. in 1902. The book contains many of the area’s family genealogies. Beth contacted me last month via the Idylease website and we had a wonderful conversation on the phone. She has since shared several excerpts from her manuscript about the Day family, photographs and family memorabilia about Idylease with me. Included in the items she had sent was an obituary of Dr. Edgar Day that appeared in the Butler Argus in 1906. The funeral service of Dr. Edgar A. 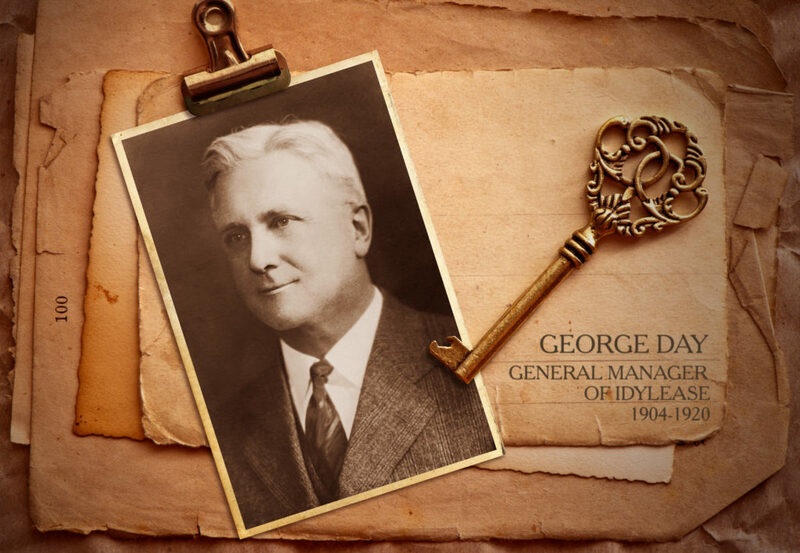 Day was held at Idylease Inn Thursday, May 17th, his death occurring on the previous Tuesday. Interment was made in the family plot at Oak Ridge Cemetary. Though born in Brooklyn, N.Y., fifty-three years ago, his boyhood and most of his early manhood were spent on his father’s farm at Paradise, near Newfoundland, N.J. He laid the foundation of his education at a private school at Oak Ridge and followed with a course of study at the State Normal School at Trenton, where he prepared himself for teaching. For a time he was principal in the public schools at Jersey City, N.J., also at Hastings, N.Y. Later, after taking a medical course at the Long Island College Hospital, Brooklyn, he practiced for some years in that city. Conceiving the idea of establishing somewhere near the great cities an institution where people in broken heath might rest and recuperate, Newfoundland suggested itself to him as an ideal spot for its location, and about four years ago he matured plans for its establishment. 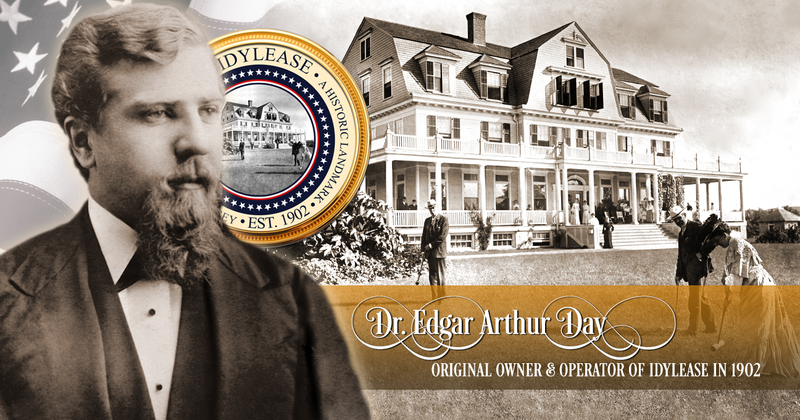 A year later “Idylease Inn” was opened, and here he has lived and continued to labor and plan for the accomplishment of his ambition. 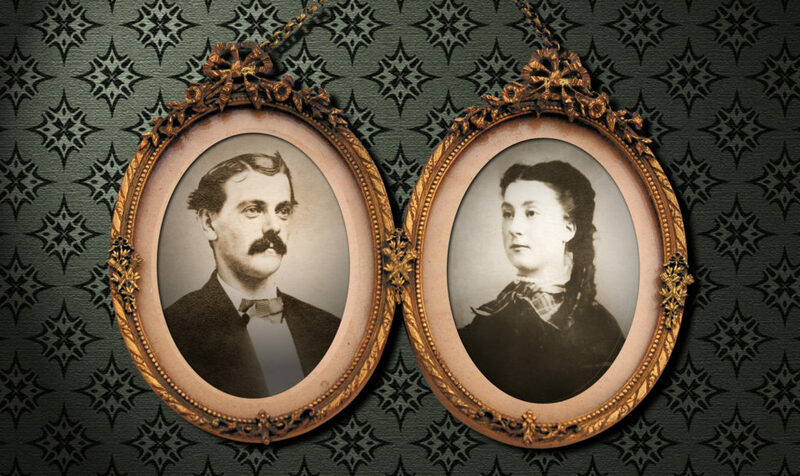 Although not actively practicing medicine since the opening of the Inn, the Doctor’s work had included many instances of medical aid, which have contributed largely to the success attained. 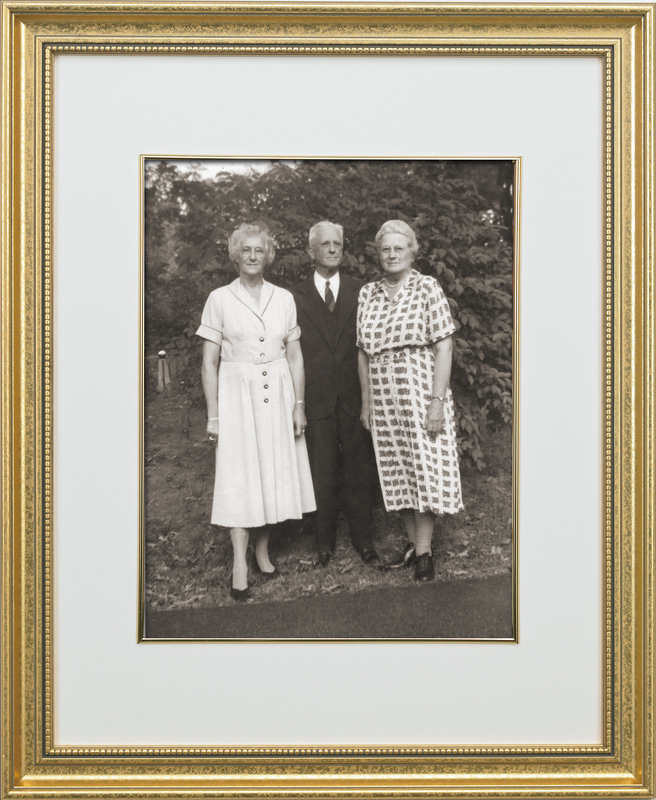 While living in Brooklyn, Dr.Day was an influential member of the Lewis Avenue Congregational Church, an active worker in the “Congregational Club” of Brooklyn, and a member of the Royal Arcanum. His entire life has been spent in unselfish devotion to the welfare and uplift of his fellows. In developing his plans for the Inn, it was his ideal to have it stand in influence for spiritual as well as physical health and rest. To this end he early instituted the practice of holding religious services on Sunday afternoons in the parlors of the Inn, and not only the guests but neighbors were invited to attend. These services were usually conducted by the pastor of the Oak Ridge Presbyterian Church. The Doctor sought, too, to permeate the institution with a strong moral atmosphere. He was the prime mover in the organization of the North Jersey Poultry Association and the Village Improvement Society of Newfoundland, both established within a few months. His constant thought and purpose were the advancement and improvement of Newfoundland, and his removal from the life of the village will long be felt. THE BUTLER (N.J.) ARGUS, May 25, 1906.